You’d be hard pressed to find a successful business that doesn’t understand the balance of power in the advertising and marketing world is a seesaw battle that’s being won over by the digital side. Recently, Adweek.com released some interesting numbers for the beginning of 2015 including the fact that Twitter has announced its monthly active users were up 20 percent year over year to 288 million people for February. The same publication reports that several Oscar advertisers recently got their biggest brand lifts on social media. Fair enough, you might say if you’re still sitting on the low end of the teeter-totter and spending your marketing cash on the likes of print, television and maybe even radio. You know there’s a need to invest to find the right social media agency to bring a company into the digital marketing world, but what are the best practices, metrics and costs you need to look for in a chicago social media agency that provides a great ROI? When you start researching, you’ll inevitably find there are some distinct parallels between the old and new and the first is a need to have a clear budget that will define your social media marketing campaign. A social media strategy is the framework that will dictate where the money goes and you’ll need to take at least a month to detail all the features. So what needs to be done? How does a transitioning firm put together a social media strategy that works? First, you must clarify your goals and that means creating a methodology that ends with a strategy. There are a few attainable, measurable, time-bound and relevant metrics you ‘ll need to include. For example, defining the customer journey from search to purchase is necessary. 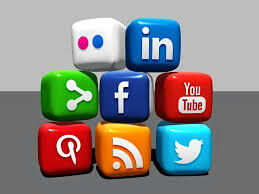 Of course, a social media agency can help here by fitting your brand voice with the right content creation needs. Remember, it’s quite often the case you don’t have the manpower or even technical expertise to keep up the kind of constant and evolving efforts that are required to get to where you need to be in the social media sphere. You’ll want to consider the fact not every social media funnel is right for your brand or voice either. Depending on your findings about who your target market is and where they spend most of their time online, you may have to focus more on one platform than another. Our Chicago social media agency is an extension of your brand and our full service digital marketing team listens to learn about your customer base and advise you on the right solution that will connect you to the people most interested in buying what you’ve got to sell. Why not get in touch with us today and we’ll get started?